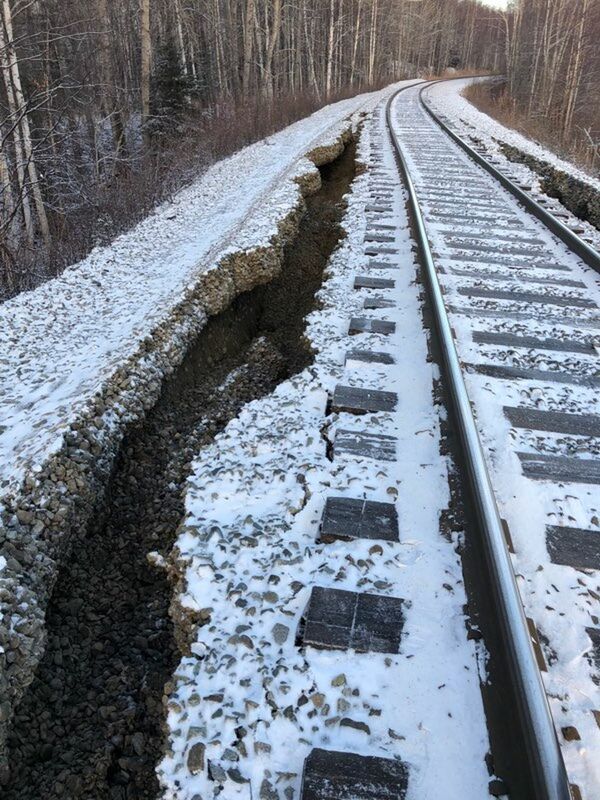 The railroad between Anchorage and Fairbanks remains closed from the recent 7.0 earthquake. There are several sections like the photo above, with cracks that have developed along the rails. The cracks in the photo run 2-4 feet wide, and 200 feet long. 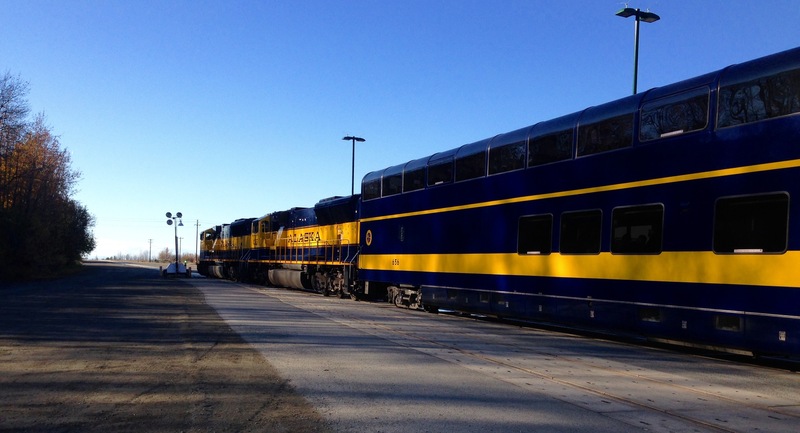 No timetable has been given to a return to rail traffic between Alaska’s two largest cities. 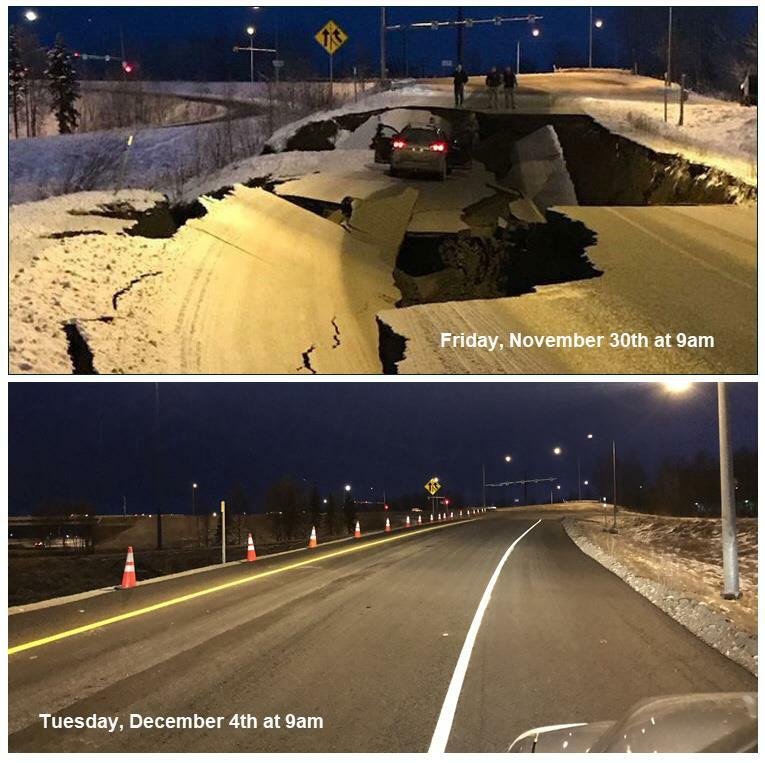 The onramp from Minnesota Blvd to International Airport Road became Alaska’s most famous, with the photo of the SUV left stranded eight feet below grade. I often make fun of Alaska’s DOT, but they have done a great job, by all accounts, getting Anchorage roads ready to handle traffic again. That interchange was rebuilt, repaved and lines painted in four days. Not bad, considering there was not an asphalt plant up & running at the time. 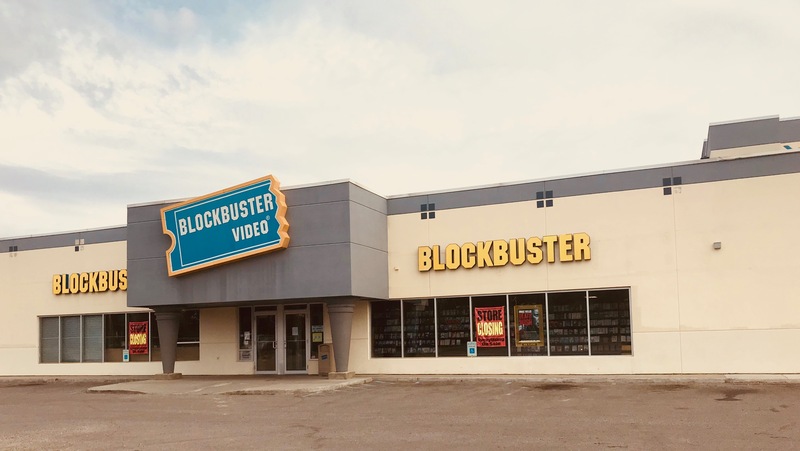 A plant had to reopen, because everything was closed for the winter season. Anchorage experienced quite the shaker at 8:29am Friday morning. The earthquake was initially pegged at a magnitude 6.6, but was quickly updated to a 7.0 by Friday afternoon. The earthquake was followed by an estimated 5.8 aftershock, and several smaller ones throughout the day on Friday. A tsunami warning was issued immediately for the Kenai Peninsula, Kodiak Island and Cook Inlet. No tsunami developed, and the warning was called off less than two hours later. Flights into Anchorage International Airport were being diverted to Juneau or Fairbanks. 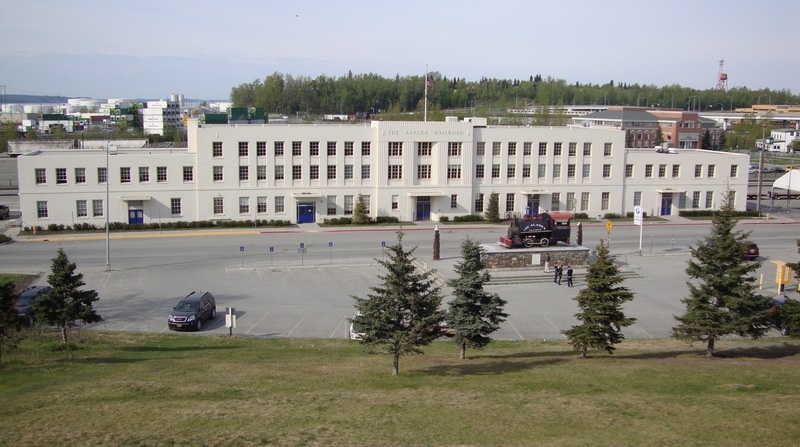 Departures from the Anchorage Airport began again at 11:30am. 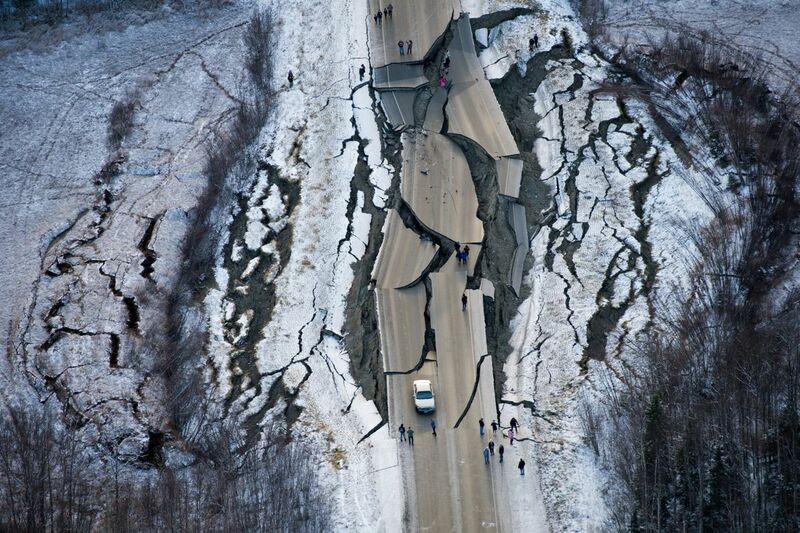 The epicenter of the quake was 7 miles north of Anchorage, directly across the Knik Arm from Alaska’s largest city. Depth was at 27 miles. There are reports of road damage throughout the area, and several reports of damaged buildings. Residents have called in saying that the Glenn Highway has some sections of severe damage, although there is no official word on that yet. As of this writing, no casualties have been reported. 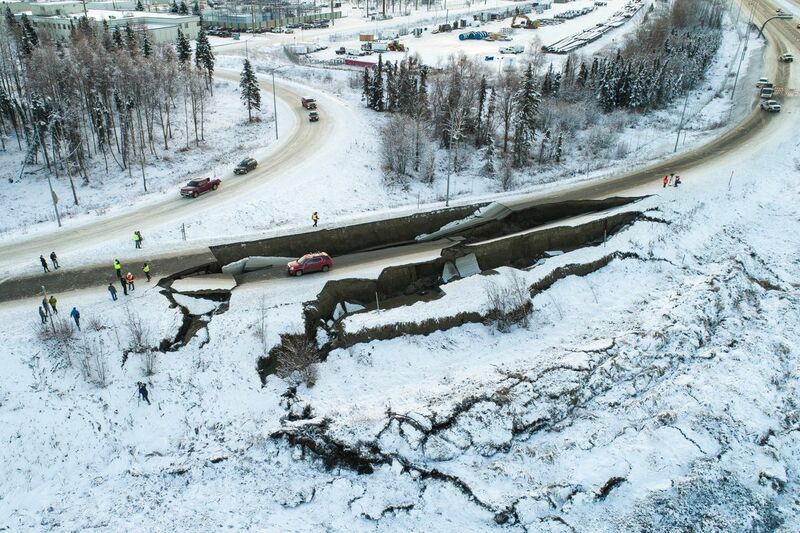 This is the largest earthquake to hit the Anchorage area, since a 7.1 in 2016. The Friday morning earthquake was much closer to Anchorage and the MatSu Valley, so damage is expected to be higher than 2016. 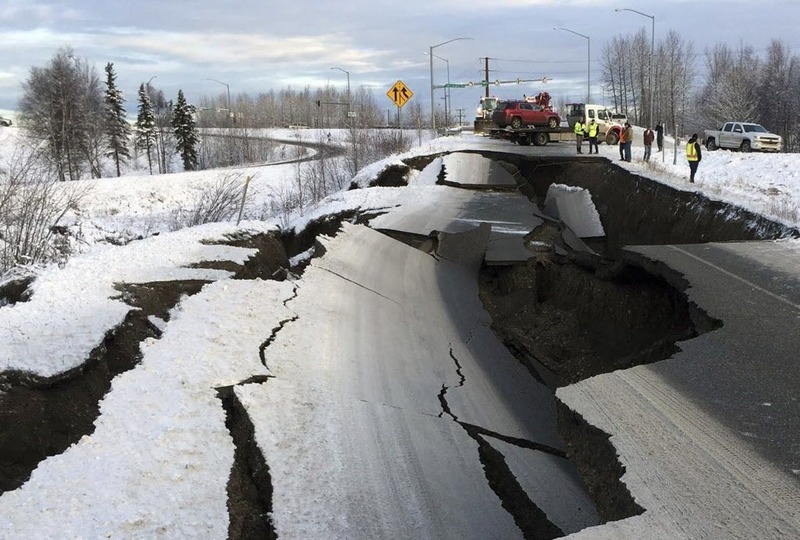 As of Friday afternoon, Alaska has experienced 43,926 earthquakes in 2018. 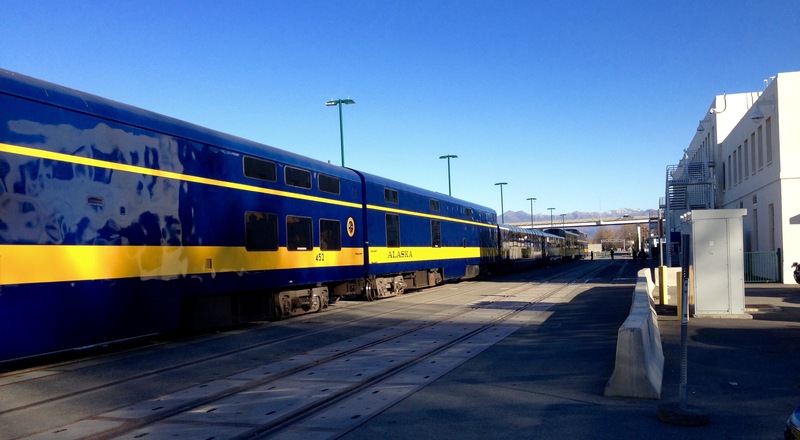 While in Anchorage, we took a tour of the Anchorage Depot of the Alaska Railroad. Founded in 1902, the Alaska RR first hit the rails in 1914. Today, the railroad is owned & operated by the State of Alaska. The rails extend from the south eastern towns of Whittier and Seward, through Denali National Park, and north to Fairbanks and Eielson A.F.B. The main line has 470 miles of track. Alaska RR train getting ready to leave the station. Probably the Glacier Discovery run. 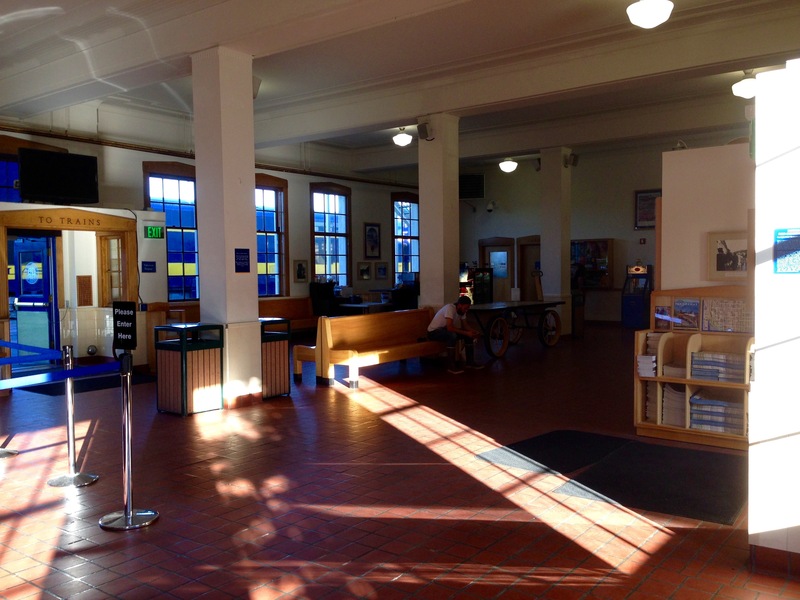 The Alaska Railroad is one of the last flag-stop routes in the country. The Hurricane Turn run allows any passenger to get on or off the train along the route. Just wave a white flag at the engineer, preferably while not standing on the rail. In 2015, the Alaska RR hauled 4.29 million tons of freight, and carried 475,034 passengers. A black bear led Anchorage police officers on a high speed gallop through downtown the other night. It took 3-1/2 hours to corral the male bruin in the Anchorage Memorial Park Cemetery. 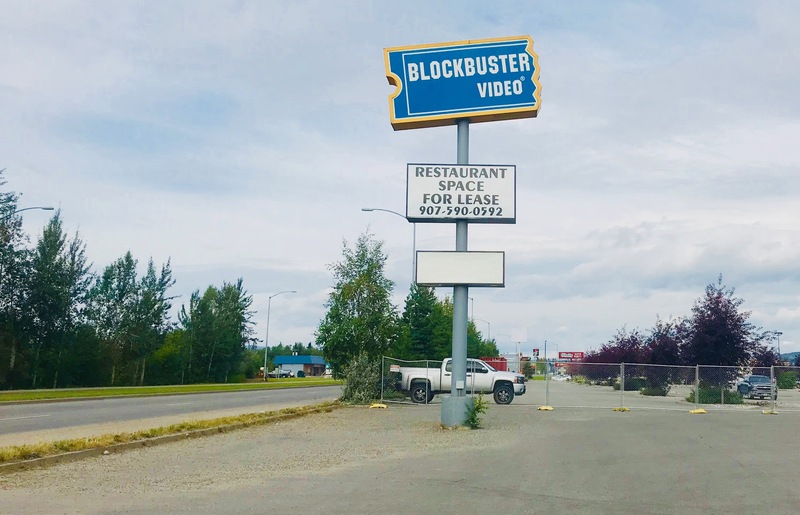 The 200 pound black bear was tranquilized by Alaska Fish & Game officials, and then released outside of the city at “an undisclosed location”. The above video was posted by the Anchorage Police Department on their Facebook page. A beautiful day on Friday in Anchorage. So I headed out to the 1500 acre Kincaid Park to walk some of its 30 miles worth of trails. 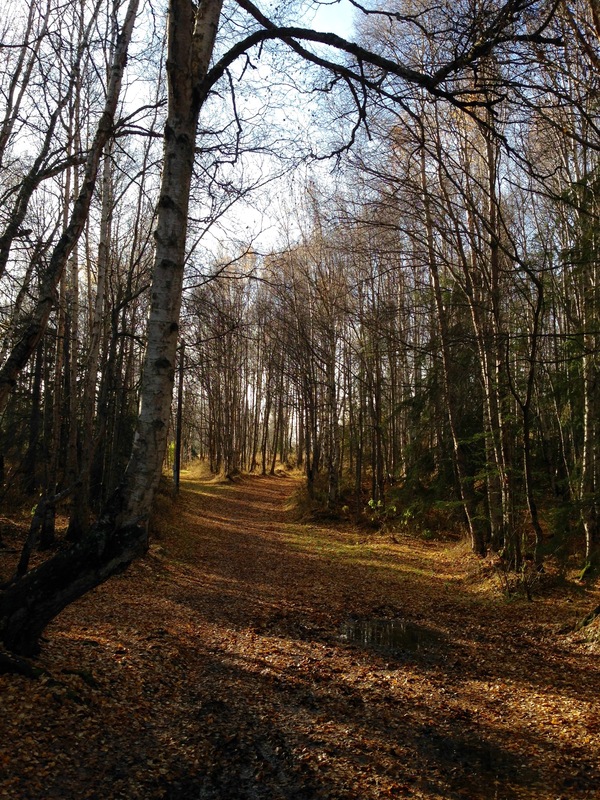 From Kincaid, one can take the Coastal Trail, which ventures 11 miles north to downtown Anchorage, hugging the coastline. 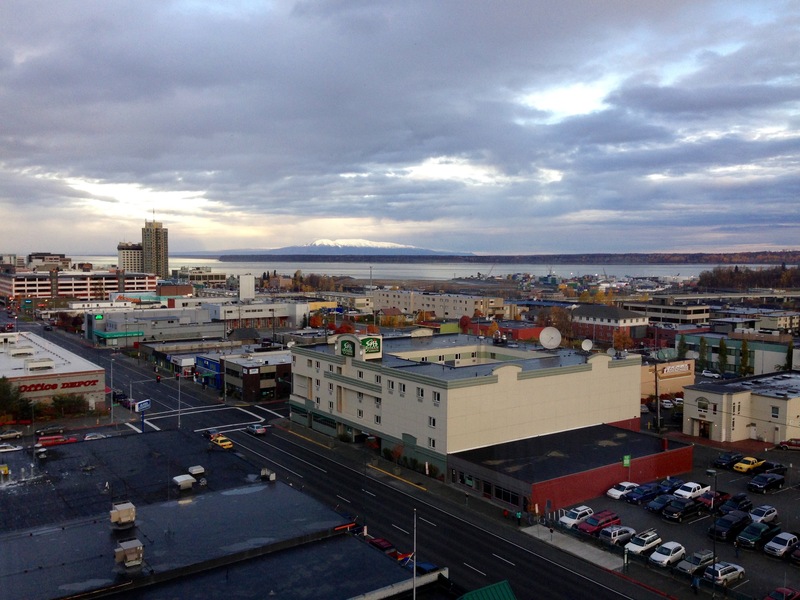 Down in the Big City of Anchorage for the start of the hockey season.